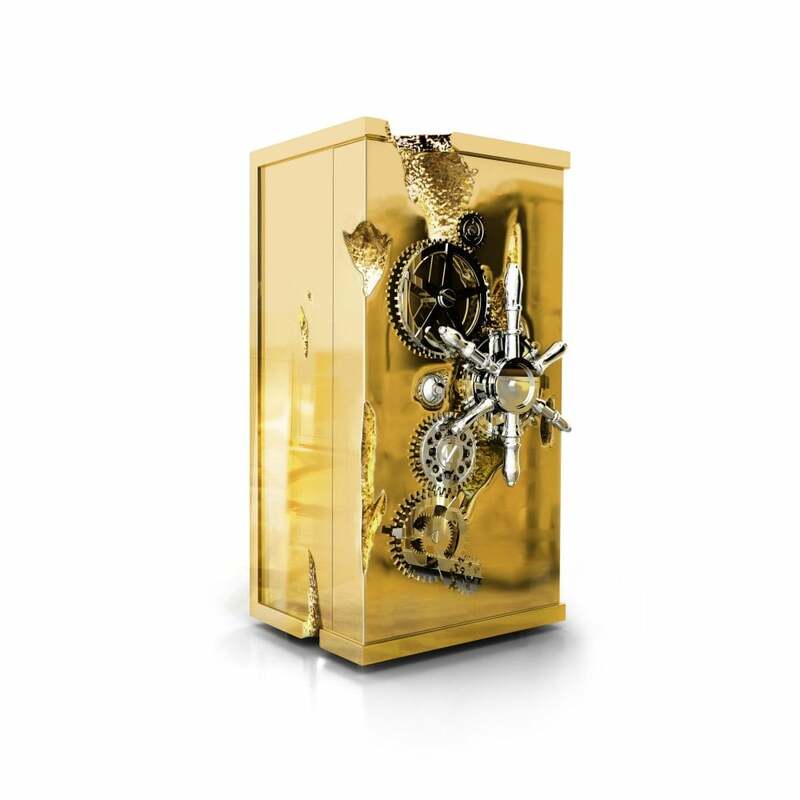 Boca do Lobo newest Limited Edition piece a safe-box that promptly takes us to scenes strongly creased in the memory, deeply enriched by today's visual culture. This piece reputes a long life! Born in the beginning of the 19th century, followed the increase of bank robberies after the Gold Rush of 1849 and kept itself sacred to successive break-in attempts, remaining deformed forever. Lockable drawers and a whole structure in mahogany, coated in highly polished brass and dipped in gold, this piece is one of indisputable value. As safe and secure as its owner holds secrets to be unveiled only by time itself.